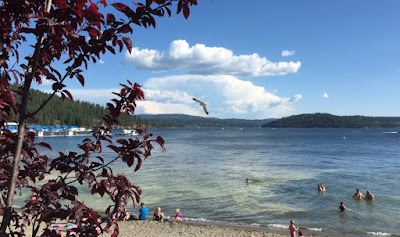 Sunny Sunday saw me dash along the shores of Lake Coeur D’Alene in the eponymously named town that sits along its northern edge. Marathon 58 and state 32 swiftly passed satisfactorily, if not swimmingly in 4:02 - my fastest time since January 2014. After three marathons (Waco, Little Rock and Louisville) that featured rain (at times downpours), a race where no outerwear featured provided a chance to fully enjoy being outdoors. 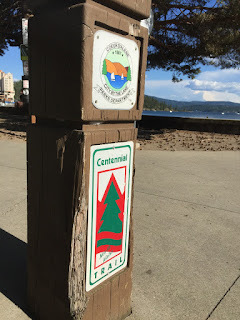 The Coeur D’Alene name - Heart of the Awl - refers to the French name applied to the local native American tribe. According to the official CDA website - http://www.cdatribe-nsn.gov - the native name of the tribe is Schitsu-umsh. That translates to “those who were found here” or “the discovered ones” and alternatively the tribe was known as the Old Ones. The French Canadian trappers appellation refers to the CDA tribe’s excellent skill with mercantile works and their shrewdness in trading. This is probably why the Schitsu-umsh were one of the wealthier groups in the northwest Americas. They settled various villages long lake Coeur D’Alene and the surrounding rivers. Today, just 2,000 number the population and they live off the revenue from a casino, tourism and government funds. The race itself does very little (nothing) to actually refer to the native peoples. This may not be a true fault of the race but rather a comment on the community in general which is now a thriving tourist destination with plenty of seasonal residents from most of the western states. The town itself is compact and clean. The city area by the lake - where the race transited before heading south along the eastern shore - is full of wide paths and small streets. Quaint shops dot the streets and the residential areas looked pleasant. 70º degree weather and mostly clear skies I am sure contributed to this feeling. The day before the race, I walked along the lake shore and small beach, populated by many, many families enjoying the fine weather. Music played from various speakers and footballs and frisbees flied fleetly through the fresh air. In my Louisville blog post, I discussed the fact that time does not matter, and I concentrate on running my plan. 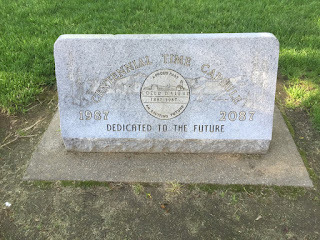 With no June marathon planned, my next race is over a month-and-a-half in the future. I decided before the race that if conditions merited, I would run the middle third by alternating 8 min miles with 10 min miles to create an interval sequence. Why do this? Well, partly this was about challenging myself. I used to run entire marathons at about 8-8:30 pace. Could I do part of one again? How would I feel after? Partly this was for fun. It’s just enjoyable to vary the pace, to speed up and to slow down. And lastly, this breaks the race into segments. Although not planned as I did not pay attention to the course before arriving, I did not know that this was two 13.1 mile out and back halves. The scenery along the lake certainly deserved two passes, so I am glad they did this versus long run in the town away from the natural beauty of the area. Since my run was varied, they way I saw the landscape did too. 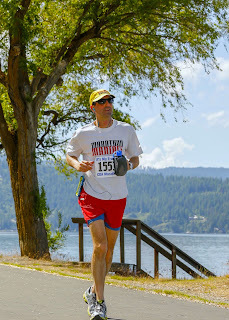 When I started running marathons in 2007, I would run a few miles the day before a race and then even 1-2 before a race started. I still see people doing this today. On Saturday, someone passed me wearing a Louisville race shirt - obviously another marathon traveler. I was quite content to be walking to stay loose - 26 miles (and occasionally longer) is enough on the day itself. So, I approach my first hour of a marathon as the “warm up.” Sunday, my first 8 miles (1:15) were all run in a 9 - 9:30 pace. My heart rate stayed nicely in the 130-140’s, and from there the real running began. For the next 12 miles, I alternated 1 mile segments (and 1.5 mile segments in the later portion). Overall, I sprinted 7 of 12 miles just over 8 mins per mile. In fact, slowing down in the intermediate miles was difficult. I then ratcheted back for the final 10k (6.2 miles). I did not fully slow to 10 mins per mile until the 25th mile and even ran the last mile closer to 9 mins. It's just what my body was prepared to do. This description would all seem about time, but really it was about testing my limits. I am happy to report while I am more cranky in my legs than post Louisville or Little Rock, it’s not at all debilitating. The best test is walking stairs. No problem there! When I completed the first 13.1 miles in about 2 hours, I was actually surprised it had been that quick. During a race, I rarely look at the total time until the end. I usually look at current pace, total distance and my heart rate on my GPS watch. Of course, running on dry pavement helps too. And the fact that the race staggers the start so the marathoners (totaling about 250) do not run with the halvers - they are separated by 30 mins - until the handful of very fast later runners catch up. 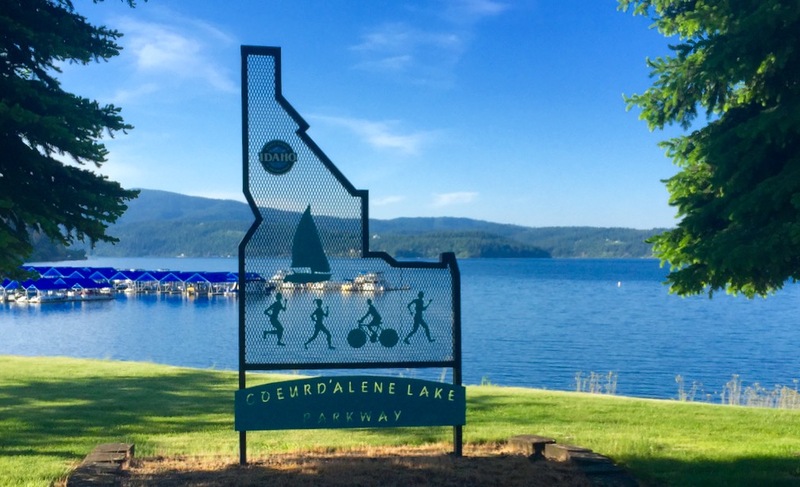 Unlike Louisville where the streets were packed for 8 miles until the split, Coeur D’Alene gave each race the majority of roadway to themselves. The town sits at 2,000 feet above sea level. That’s not enough to really impact total oxygenation, but the air is super fresh. Despite running next to a road, the major smell was from the pine trees. I suspect a fair bit of fresh O2 in the lungs helped too as it wafted through the pleasant breeze. Towards the end of the race, heat and sun played a part, but not too much. 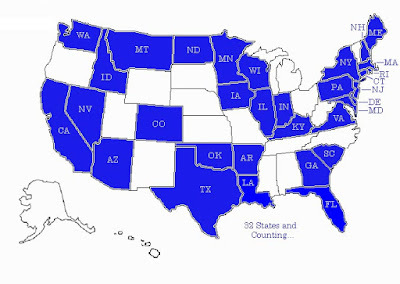 With 18 states to complete in now 25 months, I do not think about repeating races (and indeed want to focus on 60 countries by 60 and also running/biking across the US). 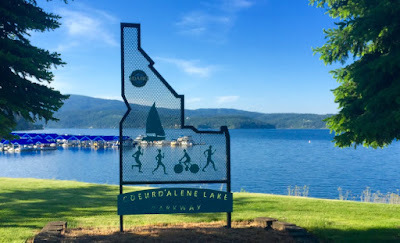 But Coeur D’Alene was nice enough, and small enough that I would run it a second time. Only a hand few of races sit on that list for me - the big ones - NY, Boston, LA, London; the themed ones like Disney World; and the scenic ones including San Francisco (I love most of the course), Lost Dutchman in Arizona (for scenery and was my fastest ever), Midnight Sun in Trømso Norway and of course Antarctica. 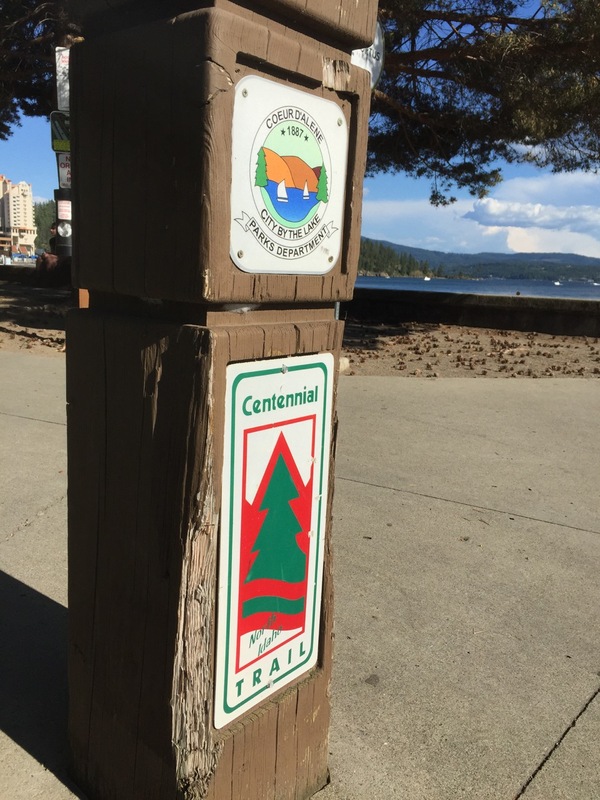 So, add Coeur D’Alene to that list! Hmmm. Maybe that would make up a nice goal in a future year - run all my favorites in one year!